If you are looking into adding supplements to your keto diet and taking your ketogenic way of living to the next level, this article is for you. Today we will be talking about ketogenic supplements from a company called Perfect Keto. Their products are completely clean and dairy-free. It doesn’t contain gluten, soy, artificial sweeteners or any of the bad stuff. Their products taste great and easy to use. 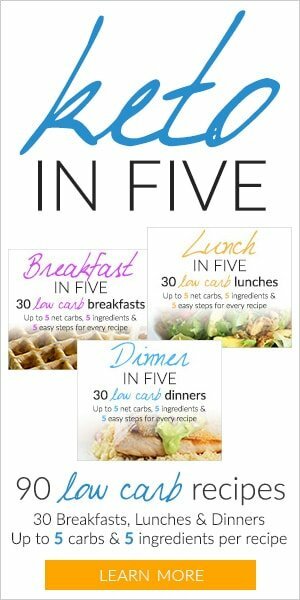 You can add it in almost any low-carb beverages such as coffee, smoothie or even plain water. All the supplement ingredients are sourced in The United States with Low GI Distress and easy on your digestive system. Their products are developed and recommended by doctor. You can purchase them directly from their online store or Amazon. There is no MLM (multi-level marketing) involved. They provide great customer support with worldwide shipping and free shipping within USA. 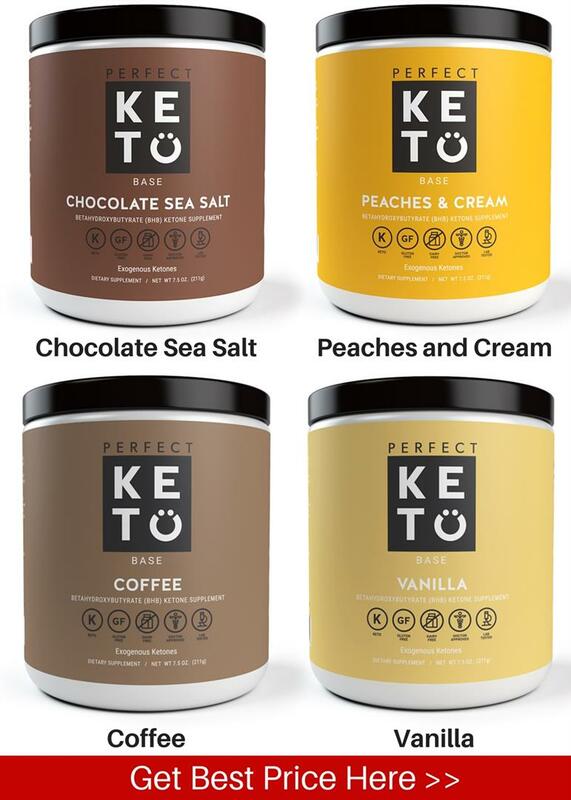 Now, just in case you are already a fan of Perfect Keto, we just want to let you know that you can get 20% DISCOUNT next time you purchase any product from their online store using our coupon code ‘KETOVALE’ when checking out. Click here to activate this special offer! These Exogenous Ketones BHB Salts are made from high-quality beta hydroxy-butyrate (BHB) without adding any additives or fillers. Keto Base gives you a boost of energy for exercise and increases satiety and feeling full which helps with your weight loss. 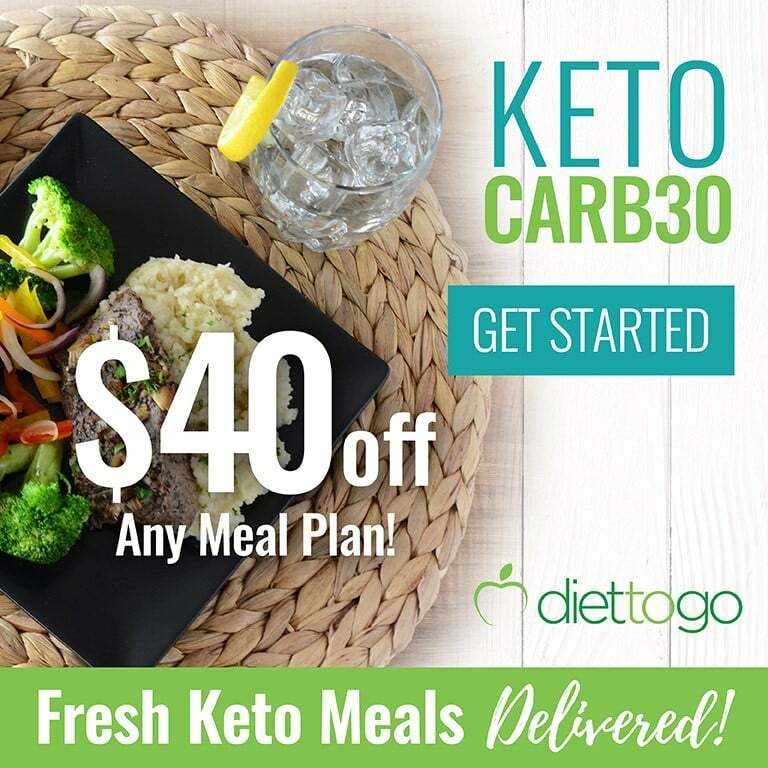 Some people might use this product to help adapt to the keto eating style and overcome the keto flu. Honest Note: Exogenous Ketones are great to have, but they are NOT compulsory for keto diet. Many MLM promoters try to make it seem like a magic pill. You cannot use it to erase your bad eating habits. In other words, you CANNOT eat your sugar chocolate cake then drink your exogenous ketones and everything will be fine. It doesn’t work that way. The best ketones are the ones that are produced by your own body. 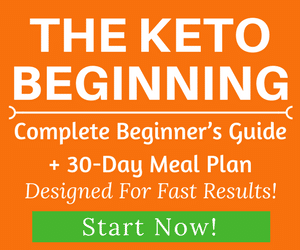 However, if you are already getting benefits from following the keto diet, you can use this product as a supplement. Think of it as energy drinks. There are also many other benefits of exogenous ketones, feel free to check our review and guide here. High quality and completely clean product sourced in the United States with Low GI Distress that does NOT contain any soy, dairy, gluten, artificial sweeteners, binding agents, or other nasty stuff. Awesome taste with delicious flavor such as chocolate sea salt, peaches and cream, coffee and vanilla. Affordable and doctor developed and recommended. High-quality beta hydroxybutyrate (BHB) salts. Each serving has 11.3 grams of high-quality BHB. Simply mix with water, almond milk, coconut milk, coffee, tea, shakes, smoothie or any low- or no-carb drink. You don’t need a blender. Where to Buy: Click here for the best price! MCT Powder is packed with medium-chain triglycerides which is a source of healthy fats that provide instant clean energy and help you with ketosis. MCT Powder is much easier on our digestive system and and mixes easier in your drinks compared to MCT oil. MCT Powder is 100% pure and doesn’t cause inflammation or ruin your gut. You can learn more about all the health benefits of MCT Oil and Powder in this article here. Completely clean and high quality product that doesn’t contain any dairy, soy, gluten, artificial sweeteners or nasty ingredients. You can add it in your favorite beverage such as coffee, tea or smoothie or just in plain water! Keto collagen is a low-carb protein powder. It’s a great source of protein on a low carb keto diet. Collagen is the most abundant protein in your body which makes up about 25% to 35% of the whole-body protein content. Supplementing with collagen protein helps rebuilding nails, hair, joints, skin, and digestion. Collagen also directly aids in energy production and building healthy DNA. As a snack replacement during the day. 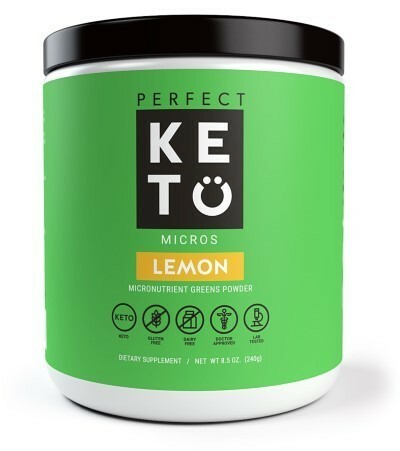 This Perform Keto Pre-Workout is a clean and natural source of energy to boost athletic performance when you are on the keto diet. Each tub of Perform Pre-workout contains 15 full-scoop servings, or 30 half-scoop servings with lemon flavor. Simply mix up 1/2 – 1 scoop with 8-10 ounces of water or your favorite low carb beverage. Matcha contains more the antioxidant power than traditional green tea (about 137 times). This product contains the highest grade of organic ceremonial matcha and is sourced from Japan. This is a tasty drink and will provide you more energy, focus, and more healthy fats. Each tub contains 20 matcha lattes. As you know, we restrict a lot of fruits and vegetables that contain high amount of carbs and sugar on keto diet. Some people concern that they will lack the vitamins and nutrients from fruits and veggies. This Keto Micro Greens powder is answer to this! This comes with lemon and orange flavor and is the perfect fit for anyone who wants to get enough fruits and veggies in their diet. It’s the only greens supplement that supports the keto diet. This is how you can get the nutrients from 26 organic vegetables and fruits without the carbs. Ingredients: Just pure, plant-sourced nutrition from 26 different vegetables and fruits. NO corn starch, fillers, or fiber additives. How to use: Simply mix it with water, almond milk, coconut milk, smoothies, shakes, or any low-carb drink. No blender required. Making sure your electrolytes are properly balanced is important on any low-carb diet. This is especially true of the ketogenic diet. Research shows that extremely low carb diets are naturally diuretic in nature, which means that it strips your electrolytes (1). Taking an electrolyte supplement can help reduce the symptoms of the keto flu, which include body aches, headaches, and flu-like symptoms. Additionally, keeping your body hydrated by increasing your electrolyte levels up helps you feel energized all day long. It also helps you recover quicker from workouts so that you can get back out there and do it again the next day. Taking Perfect Keto Electrolytes can help ensure that your electrolytes remain balanced to help keep you properly hydrated. 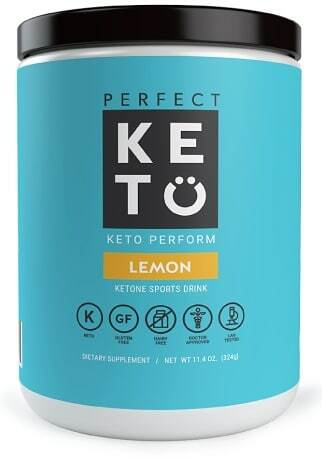 Rather than drinking a sugary electrolyte drink such as Gatorade, Perfect Keto Electrolytes contains nothing but the minerals you need to remain hydrated without all the sugar. We recommend taking this supplement between meals to remain hydrated. Some people even take it in the morning along with their coffee and exogenous ketones. You can also take it to help transition into ketosis with minimal symptoms or to help reduce cramping associated with a hard workout. Where to buy: Click here! Keto protein bars are the perfect snack to keep you full in between meals, but not all of them are created equally. Some contain cheap ingredients, too many sugar alcohols, or preservatives and additives that build up in your gut. Most bars also contain incorrect ratios of fats, proteins, and carbs to be considered ketogenic. In addition to providing a balanced ketogenic macronutrient ratio, Perfect Keto Bars contain the highest quality ingredients on the market with no fillers. They contain no sugar alcohols, no added sugars, and ten grams of protein from grass-fed collagen. It also has 19 grams of fat and three grams of net carbs per bar. It’s the perfect keto snack to take with you on the go. Perfect Keto bars contain almond and cocoa butter, coconut oil, collagen, sea salt, and stevia. They also have natural flavors with no harmful additives, sweeteners or preservatives. You won’t find harsh or unnatural chemicals, sugar alcohols, or other food additives that contribute to inflammation in the body. You can use Perfect Keto bars in place of an energy bar. It works great as a breakfast on the go in the morning when you’re running out of the door or you can use it as a keto snack in between meals to help keep you full. You can even enjoy a Perfect Keto Bar after dinner as a keto-friendly dessert that won’t kick you out of ketosis. Nut butter is a great way to get some high-quality fats in your diet, but not all nuts are keto-friendly. Many of them are high in fats AND carbs. Some even have added sugars and cheap oils to keep them fresh. To ensure that you’re keeping your fat intake up and your carbs down, then you need to choose a nut butter that contains low-carb nuts. The problem is that these nuts can be hard to find. Perfect Keto Nut Butter makes it easy for you to include keto-friendly nuts in your diet such as cashews, macadamia nuts, and coconut butter by including all of them into one jar for the perfect snack food. It also includes MCT oil to further enhance your fat intake and support ketone production. Perfect Keto Nut Butter contain pure ingredients in their raw form, which means that they retain all of their nutrients. Unlike most nut butter, Perfect Keto Nut Butter has no added sugars or peanut and vegetable oils to keep it shelf stable. There is no wrong way to use nut butter. Add some to your morning smoothie for a boost of healthy fats or dip your celery sticks in a few tablespoons for a perfect keto snack. 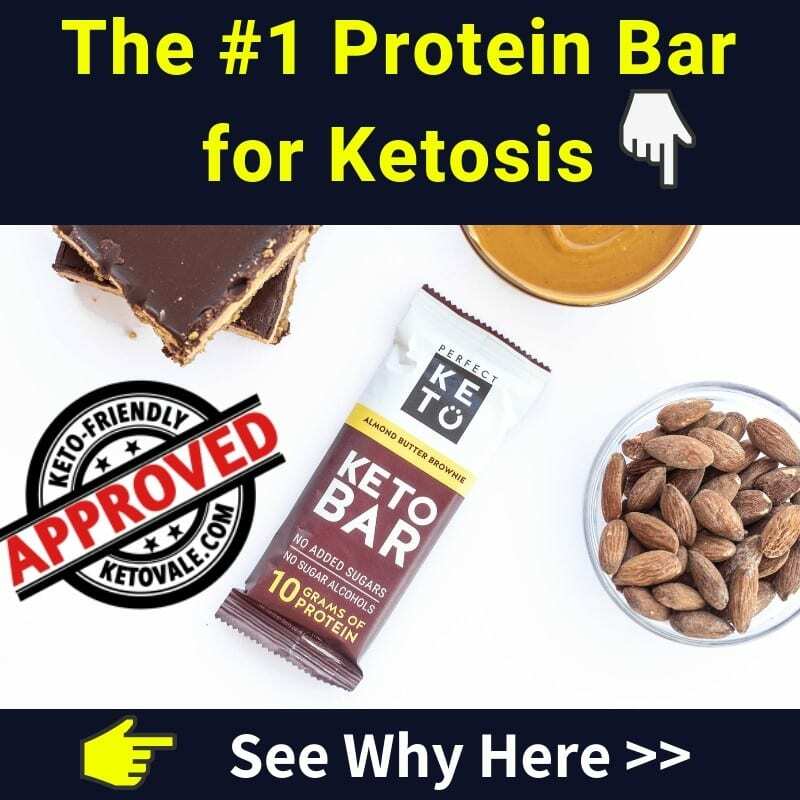 You can even eat it by the spoonful whenever you need a quick energy boost or add it to your favorite baked keto recipes along with a scoop of raw cacao powder for a delicious treat. Many people can’t live without coffee. They need it in the morning to get them out the door and then again in the afternoon to get them through the rest of the workday. Ordinary coffee is only so good. Sure, it has caffeine, but does it also have healthy fats to fuel your ketogenic diet? No, it doesn’t. Many people make bulletproof coffee at home, but if you travel or just need something quick, a cup of instant keto coffee might sound better. 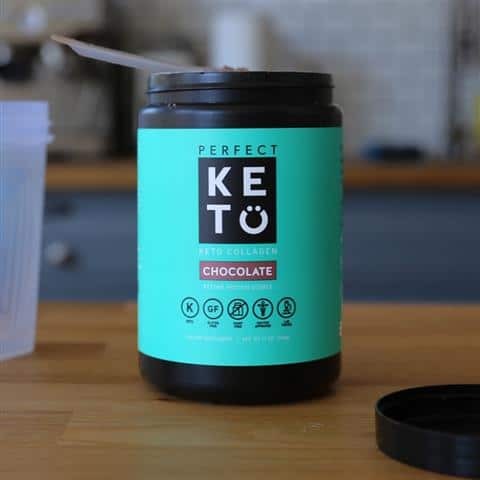 Perfect Keto Instant Coffee was explicitly formulated with ketogenic dieters in mind. It contains organic spray-dried instant coffee beans, 10 grams of MCT oil powder from organic coconuts to fuel ketone production, and organic cocoa powder and stevia to make it taste like a delicious treat. It does NOT contain fillers, chemicals or additives as most coffee does. Not to mention, it’s effortless to use. All you have to do is add water. It comes in convenient, easy-to-use packets that you can take anywhere. 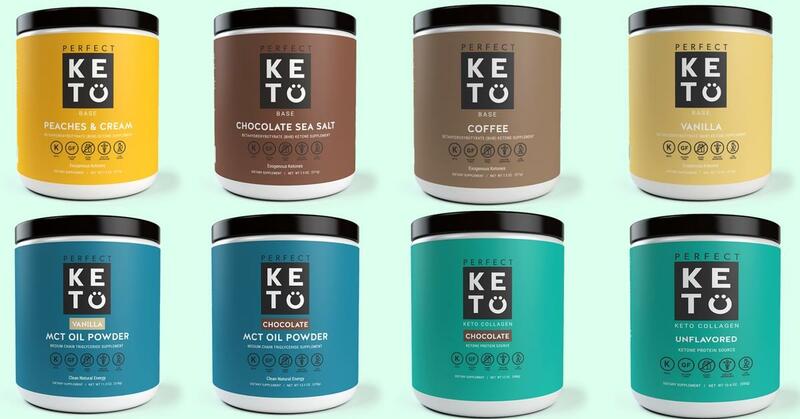 Here are some other reasons why you should choose Perfect Keto Instant Coffee. 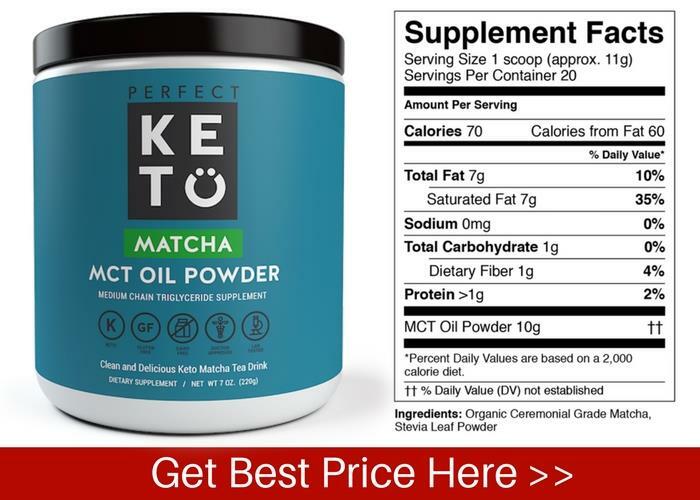 Perfect Keto Instant Coffee comes in a few different flavors, including mocha, vanilla and unflavored. The unflavored brand only contains organic spray dried coffee and acacia fiber. The beauty of instant coffee is that you can use it anywhere. Keep a few packets in your desk at work, your purse, or your gym bag. All you have to do is add water to it, which is ideal for when you don’t have time to brew a pot in the morning. Whey protein is a good way to get more protein in your diet, which helps build lean muscle to burn more fat. Keto Whey Protein is a step up from traditional whey protein. It is sourced from grass-fed cows, which means that it’s cleaner and contains more nutrients than conventionally-raised cows. It has also been formulated with MCTs to enhance your ketogenic diet by supporting ketone production. Not to mention, it doesn’t contain added sugars, fillers, or chemicals like most whey drinks do. If you want to use whey protein to help build lean protein, then you’ll want to take it within 30 minutes following a workout. But you don’t have to use whey protein only after a workout to reap its benefits. Protein can be used to help you concentrate throughout the day, so take some whenever you need a brain boost. You can also use some chocolate whey protein in your milkshakes or smoothies for a keto-friendly treat that will satisfy your sweet tooth without kicking you out of ketosis. Nootropics are substances or chemicals that can help boost your mental clarity and cognitive performance. Many people use them to help power through tough days when you need a sharp mind and clear thoughts. Keto Nootropics can be sourced from pharmaceutical drugs or natural substances, but Perfect Keto uses all natural ingredients that have been proven to help support brain health, such as herbs, exogenous ketones, and amino acids. Perfect Keto Nootropics were designed specifically for ketogenic dieters. 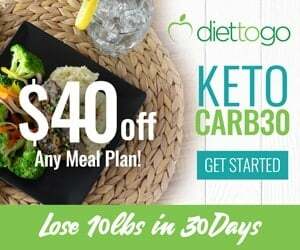 It features lipids to help fuel your brain (keep in mind that ketones are your brain’s preferred source of fuel) as well as herbs such as Ginkgo Biloba and cat’s claw, which have been shown to enhance memory and support brain cell function (2, 3). It also contains caffeine from green tea, grass-fed collagen, and B vitamins for energy and cellular support. L-theanine provides calm alertness that reduces the jittery effects of caffeine and electrolyte minerals to help keep you hydrated so that you can think clearly. 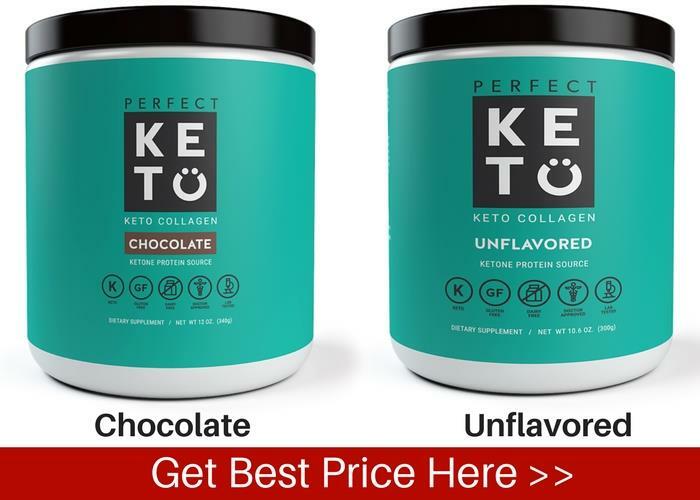 Plus, Perfect Keto Nootropics comes in a delicious powder form that tastes like chocolate milk. There is never a wrong time to drink a supplement that enhances your cognitive function. We recommend adding a scoop of Perfect Keto Nootropics to a glass of water anytime you need a mental boost, such as at work or while studying for an exam. Because it contains caffeine, you can even use it to replace your current source of caffeine, such as coffee. It also has a delicious chocolate flavor, so you can use it when you need something to satisfy your sweet tooth without too many carbs. MCT is short for medium chain triglycerides, which are a type of fatty acid that has numerous benefits, such as weight control, better cognitive function, and increased energy, just to name a few. Research shows that your body can use MCTs to create ketones in the body (4), which increases your circulating levels and helps keep you in ketosis. MCTs are also great for reducing inflammation in the body to help improve sleep, digestion, and hormones imbalances. 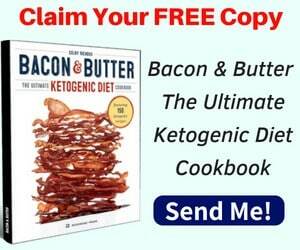 Many ketogenic dieters supplement with MCT oil for a quick boost of energy. It’s also great to use for a mental boost or to combat brain fog. Perfect Keto MCT oil is derived from coconuts and contains nothing but 100 percent pure MCT oil and nothing else. 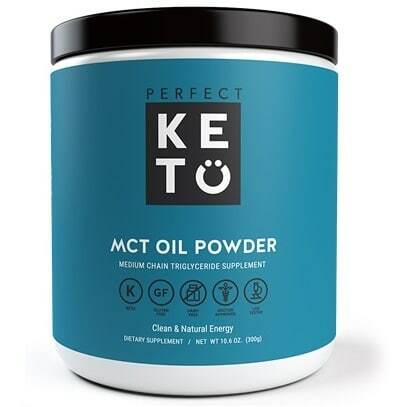 Perfect Keto MCT oil contains caprylic acid or C8, which is one of four types of MCT oil. C8 is a highly desirable form of MCT because it is metabolized quickly in the body, which means that it can be used as energy faster than other forms. The only ingredient in Perfect Keto MCT oil is MCT oil derived from coconuts. You will not find any artificial colors, flavors, fillers or any other ingredients in this oil. 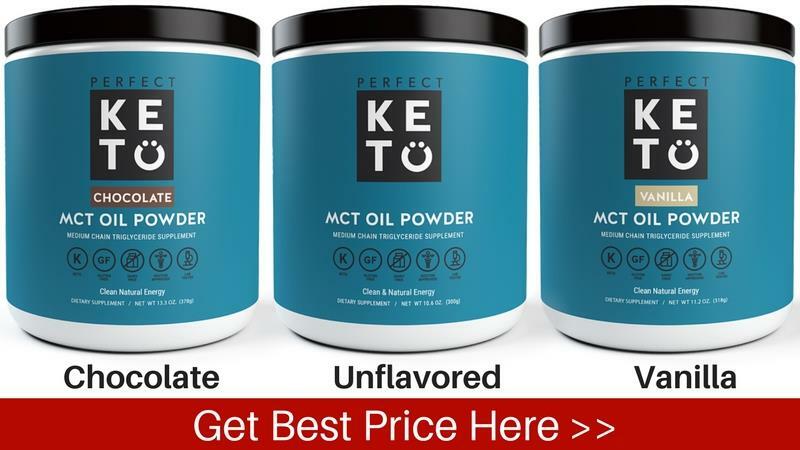 You can use Perfect Keto MCT oil in place of your regular cooking oil. We recommend using it in raw form to keep its beneficial properties intake. In other words, don’t heat it to high temperatures. Add some to your morning coffee, smoothies, or in your homemade keto bars. 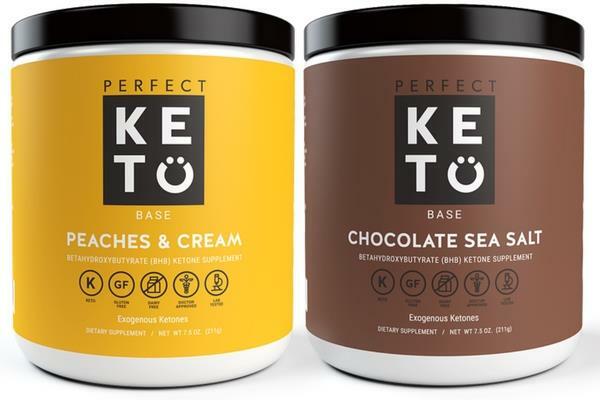 These are the most popular products from Perfect Keto that we love. If you want to try them out, make sure to use our coupon code KETOVALE for 20% OFF.